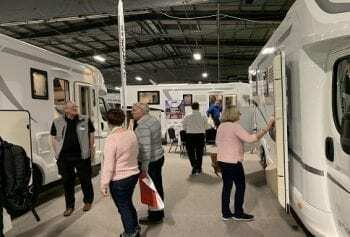 Buying motorhomes from motorhome shows, is there a bargain to be had? Well, there are plenty of motorhome shows, that you can go to and test the water. Motorhome shows and events, take place all over the UK and beyond. Dealers, have open weekend shows as well! The main attraction of buying at a motorhome show, is it may be a good show deal price. However, price should not be the only factor in the decision to buy. Here we will point out a few good and bad points of buying motorhomes from motorhome shows. Well. first things first, do you have a budget to work to? You may not think that you need a budget. If your name happens to be Rockefeller, maybe you don’t! However, it always happens, you look and fall in love with the motorhome. Only to find, that it is way over your buying power. But, never mind there is one waiting for you somewhere. So, budgets and the search goes on. Later in the article, all will be revealed why that motorhome finance deal is a god send. Motorhomes are a lot of money, just because, the sun is shining and you are at a motorhome show. Now, remember rule one, it is not compulsory to have to buy one there and then. Buying Motorhomes From Motorhome Shows Which One? the maximum we want to spend? how many are going to use the motorhome? how many travelling seat belts are ideal? the berths what size are the beds? what driving licence is required? what motorhome warranty is available? Buying Motorhomes From Motorhome Shows Which Dealer? Now, there are many stands at motorhome shows. You may find that even with the show guide, you don’t see all of them. The main advice, you need to take your time. There are going to be many questions you may want to ask, as you survey the field. Just like a day at the races, who will you place your bet on! Well, it may be a good idea to find out where the motorhomes and dealers are from? At the big motorhomes shows, many dealers are on the motorhome manufacturers stands. So, you may have found the model you like. However, the sales person may be from anywhere and not local to you. Remember, you are going to need to service the motorhome. So, a motorhome dealer near home, may be the best option. Whilst not the cheapest or best deal option. It may well be, the “peace of mind” option, to select that local dealer or one that is say, just an hour away as a guideline! Now, before you take that leap of faith and buy the dream motorhome at that motorhome show. Do some research and go online and compare prices. Look out for old model run outs, nothing wrong here, they may be a good price. But, just hold your horses and check the specifications. Because, when it comes to selling on one day, that extra specification will help sell the motorhome. Now, we know the price, we have the one we want. Now, crunch time is here. Grab your list, how long is it, how high is it and just how wide is it. Yes, will it fit in the drive? These things do get overlooked in the excitement of it all! Now, we are getting closer, how much is it to get motorhome insurance? You cannot just tag it on the car policy! Just when you thought you had it all nailed down, what warranty does it have? If you are buying a new motorhome, it will be a matter of how long it lasts. The next thing to understand is, what services to maintain the motorhome are needed. Especially, services and scheduled to remain under a motorhome warranty. On a used motorhome, these will be key points and not forgetting. How long is the MOT? Other used motorhomes points to check out, does it have a full habitation service records, as well as a mechanical one! How much will the dealer charge to do the after sales services? Most important of all are two key points, one, do you have the right license to drive it? Two,where are you going to store it? Well it may not fit in the drive! So, what motorhome advice, will help find that motorhome of your dreams? Well, we are all different. So, let’s think about some key things. Just remember, take your list with you. As you go around make a note, good and bad points. Before you go to any motorhome show, have some ideas of what will float your boat. Essentials and non essentials, may help. Remind yourself. Just who is going to use the motorhome? Are you going for short breaks of long vacations? Now, consider who you want to deal with? An independent motorhome dealer, who sells many different makes and models. Both, new and used. Or a more dedicated motorhome dealer, that works with brands in the same ownership? These are your decisions to make. The one thing you will or should have gained looking to buy motorhomes for a motorhome shows is a little confidence. That extends to those you have been talking to as well. You will have hopefully built up a bit of a rapport. Even seen them at other shows, so that may be the green light you are looking for! Oh by the way, “good luck”. McLouis Fusion may well be an option, they are new to the UK for 2019. New but big, in Europe. Owned by Trigao group, they don’t get much bigger than that! 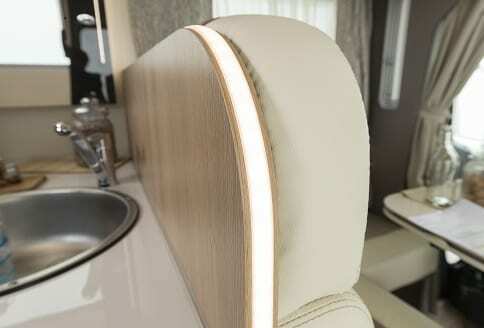 They will be seen at motorhome shows, they are an exclusive motorhome form Auto-Sleeper motorhomes. One of the UK’s oldest motorhome manufacturers. McLouis are made in Italy, both Auto-Sleeper and McLouis are Trigano companies. Got to a few motorhome shows if you are able to. Before you buy a motorhome do not be afraid to ask. Even motorhome owners,are a great source of information. Kind of from the horses mouth, if you are considering buying one like theirs. You will be amazed and the help of owners on forums and owners clubs. This is like joining a unique club and at many motorhome shows there is overnight stays and entertainment. Enjoy!